Panel blocking is another way in which lowlights can be used, with color applied to specific areas of the hair. This can be advantageous to those who want maximum flexibility in their style, as colored panels on the underside of the hair can be fairly well hidden when the hair is worn down, then brought to the fore as part of an up do or a set of curls. Dip coloring can also be a very effective technique, where the lowlight color tone is applied only to the ends of the hair, while the roots/upper section is left (or highlighted) a lighter shade. Depending on the color chosen for the lowlights, the end result can be sweet and subtle or striking and packed. 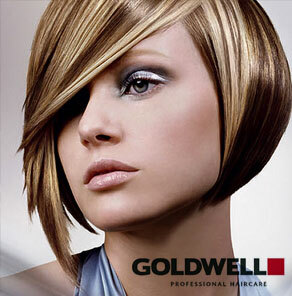 Lowlighting can add vibrancy and texture to hair, whether long, short, fine or thick. As with any coloring process, it is best left to the professionals in order that the hair is nurtured while being treated. Home coloring kits are especially tricky when it comes to complex techniques such as lowlighting, so it is always better to hand yourself over the a specialist color salon, such as Sachi Be confident in expressing your wishes regarding the color and style you wish to achieve, as this will help your colorist to ensure that he understands what you are looking for. Be sure also to interrogate him regarding the products that he will use on your hair. Enzyme-based colors are best, as they care for the hair while coloring it. Anything with the word ‘peroxide’ on the label should be stringently avoided. At Sachi Studio's, the Goldwell hair color range is exclusively used, due to its nurturing properties and the beautifully clear color tones that it achieves. Also ask your colorist about specialist shampoos and conditioners for color-treated hair, as a wide range of products are available to keep your color looking fresher for longer. Specialist brands such as Oribe will help you to avoid any color fading that regular hair care products might otherwise result in. For lowlights that last ultra-long, as well as soft, healthy tresses, add a weekly intensive conditioning treatment to your shopping list as well – one designed specifically to work with the color of your lowlights of course. Regular coloring sessions will ensure that, just as with highlights, roots don’t become too obvious with lowlighted hair. Maintaining a regular schedule of appointments with your professional colorist will also ensure that hair can be trimmed regularly and given any additional nurturing treatments that it may need to combat any environmental damage that has occurred – the sun, seawater, swimming pool water and the use of heated hair appliances can all take their toll on the hair, meaning it is important that it receive professional attention on a regular basis. One of the key advantages that many clients find when it comes to lowlights is their flexibility. From the latest tousled locks with dark blonde streaks that are perfect for long summer days at the beach, to rich autumnal reds and browns that blend with the changing of the seasons, lowlights can be used to ensure hair remains very much on trend with the latest styles being flaunted on the world’s catwalks and red carpets. Less of a commitment than a full head color change, lowlights provide a wonderfully subtle way of livening up the hair and providing it with both texture and depth, keeping locks looking healthy and full of body, so be sure to speak to your professional colorist about how to use lowlights to ensure that your hair looks spectacular. Full-service designer and hair color specialist Rodney Gentry is based at Sachi Studio's in Scottsdale AZ. For color consultations and other appointments, call 480.639.2000. Contact him today to discuss your lowlighting needs.